Are you getting tired of seeing all of those bot visits in your Google Analytics dashboard? Is those metrics throwing off your actual exact metrics like bounce rate, conversion rate, and more? Websites like buttons-for-websites, SEMALT, best website awards, and much more are just annoying bot visits that help mess up that type of data you care about. 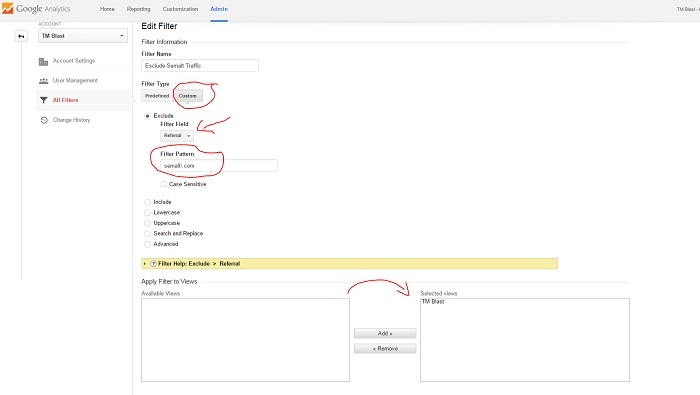 Yes, you can create a custom report or filter in Google Analytics to not report these visits, but there is a more natural way to fix this entire problem. Here in this blog, you will learn how to block Semalt and many other websites from being counted as visits in Google Analytics. This will help clean up your GA account and can be a repeated process for whenever you see new bot visits. Feel free to check out how to block russia and china visits to your site in this blog post. You will see some examples of Semalt when you visit Google Analytics. When you go to the referral section of the dashboard, you will see source labeled as such. 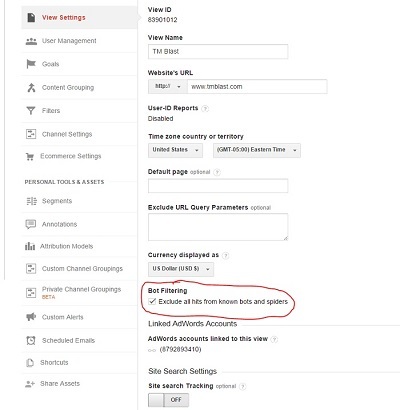 In Google Analytics, you need to go to to the referral section. I noticed that the most referral visits I have came from Semalt. For this example, I will start blocking the referral website that has the most visits to my website. I want to show you this picture below. I blocked these visits in Google Analytics, you will too once you follow these steps below. 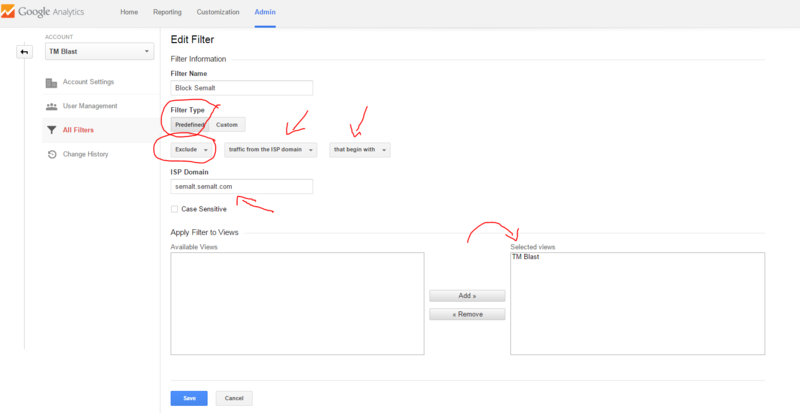 First, you need to go to the admin section and click on view settings. In the view settings side, we need to scroll all the way down and check off this box that says bot filtering. The picture will look like this below. Next, you need to go to our filters section and create a new filter. You will notice I have semalt and other websites blocked more than once. Next, I go to my admin section, and I click on all filters. Next, I am going to create a new screen, and I am going to click on custom for the filter type. For this example, I selected referral for the filter field, and I put the filter pattern as semalt\.com. As I was writing this, my website started to get bot visits from a best website awards site. Here is the snapshot of data for these bot visits. I followed the same steps as above and now I am fine. This method to block SEMALT is a simple way to go about this process. However, you will notice spam comments on your site as you are not genuinely preventing these visits. The best way to block this is to go into your HTACCESS settings to block the IP if you can find it. Here is a great source on how to write the code to block these visits.